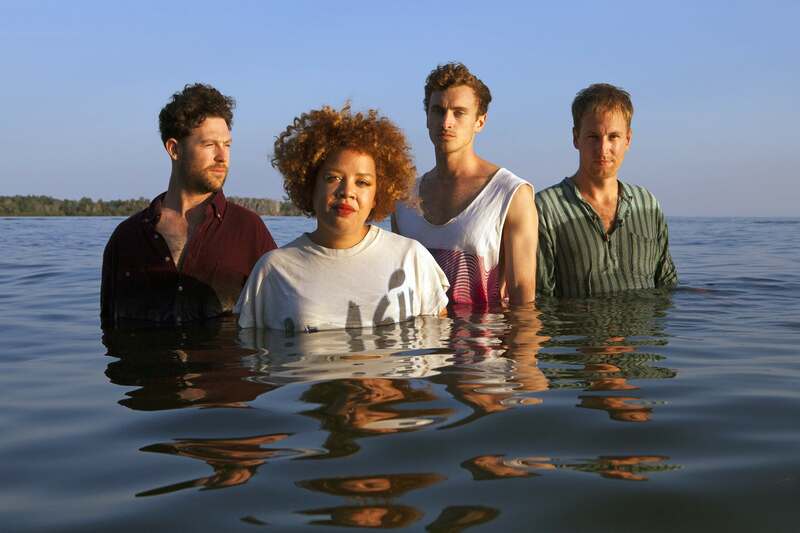 Weaves entered the studio in early 2017 to begin recording what would become their sophomore LP, Wide Open (due out October 6th, 2017 on Buzz, Kanine & Memphis Industries). Assisted by engineer Leon Taheny (Austra, Fucked Up) who worked with them on their first LP, they approached the album as a highwire act – walking the line between intention and their own gleefully anarchic creative impulses. The record sees Burke extend herself as a performer – moving more frequently to the center of arrangements and revealing new facets of her unique and powerful singing voice – as Waters, and the band’s dynamic rhythm section of bassist Zach Bines and drummer Spencer Cole, find ways to interpret the growing diversity of her expression. From the glammy Saturday night strut of “Slicked,” to the stripped-down, pedal steel abetted torch song “Wide Open,” to the searing “Scream,” a warped duet with Inuk throat singer Tanya Tagaq that likely constitutes Weaves’ wildest recording to date, the album captures a band for whom exploration is a compulsion making a self-assured step into the unknown.